Bangkok Airways Public Company Limited has successfully made its maiden flight from Bangkok to Cam Ranh, Vietnam. The airline operates four flights a week (Monday, Wednesday Friday and Sunday) with a 144-seater Airbus A319 aircraft. “Cam Ranh is the fourth destination in Vietnam adding to Bangkok Airways’ route network after a successful performance on Bangkok–Danang, Bangkok–Phu Quoc and Chiang Mai–Hanoi flights launched earlier in May 2016, October 2017 and March 2018 respectively. We anticipate that the majority of our passengers will be businessmen and tourists from the two countries. 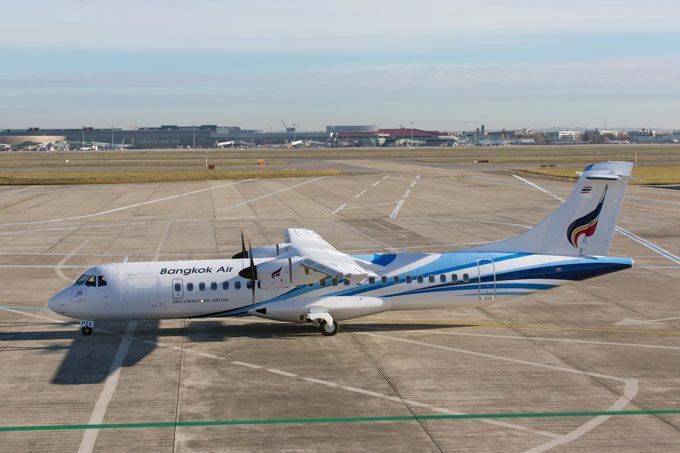 We are confident that with our strong reputation of offering a boutique flying experience for our passengers, Bangkok Airways will be the leading player in this market.” Mr. Varong added. Bangkok Airways will offer four flights a week (Monday, Wednesday Friday and Sunday) with a 144-seater Airbus A319 aircraft. The outbound flight PG993 will depart Bangkok (Suvarnabhumi) at 10.20hrs and arrive Cam Rahn (Nha Trang) International Airport at 12.05hrs. The inbound flight PG994 will depart Cam Rahn (Nha Trang) Airport at 12.55hrs and arrive Bangkok (Suvarnabhumi) at 14.40hrs. Currently, Bangkok Airways is offering a special all-inclusive round-trip fare for Bangkok-Cam Ranh starting from just 5,915 Baht. To take advantage of this offer, passengers can contact Bangkok Airways Call Center at 1771 (24hrs) or visit www.bangkokair.com for more information.